Gota Collection is the result of a collaboration between the young industrial design studio OGSB and the Ateliers J&J. This family of lights has been imagined and designed to fit into a short-circuit vision. The work with several Belgian industrialists and contemporary technologies made it possible to realize accessible and quality objects. The collection consists of two different types of LED lighting; one table lamp and one floor lamp. 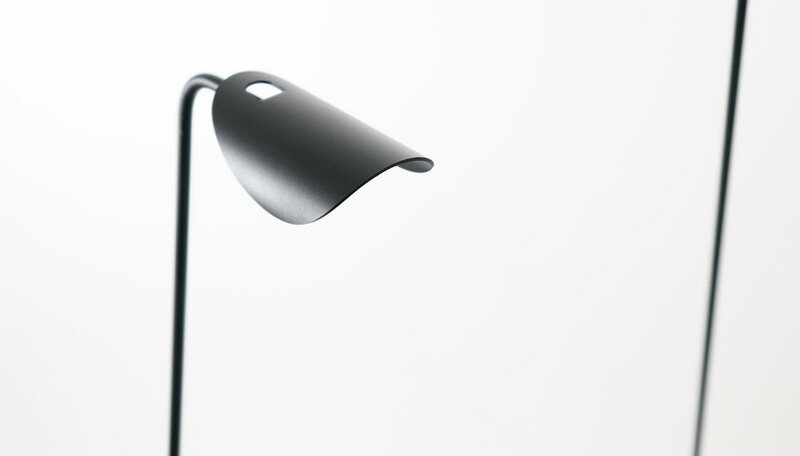 The design of the lamp allows it to be articulated on two different axes which gives it a real personality. Thus, the light beam can be oriented by the inclination of the axis of the lamp and by the orientation of the lampshade. Gota’s arm and head hold their position wherever they are placed in space.